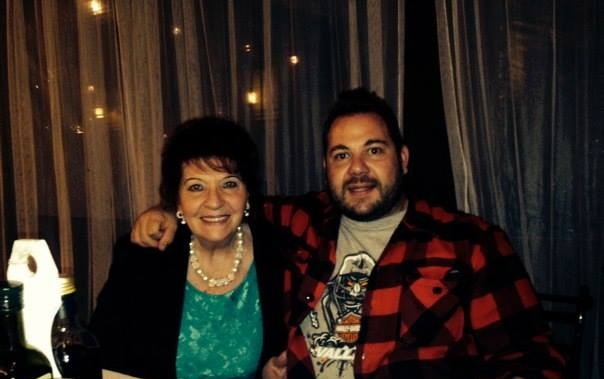 Usually once a week we have a BIG, Italian dinner with my in laws. This past week, Luca and I went to my mother in laws house earlier than expected and it just so happened that I was able to watch her prepare her famous rabbit dish..
Now. 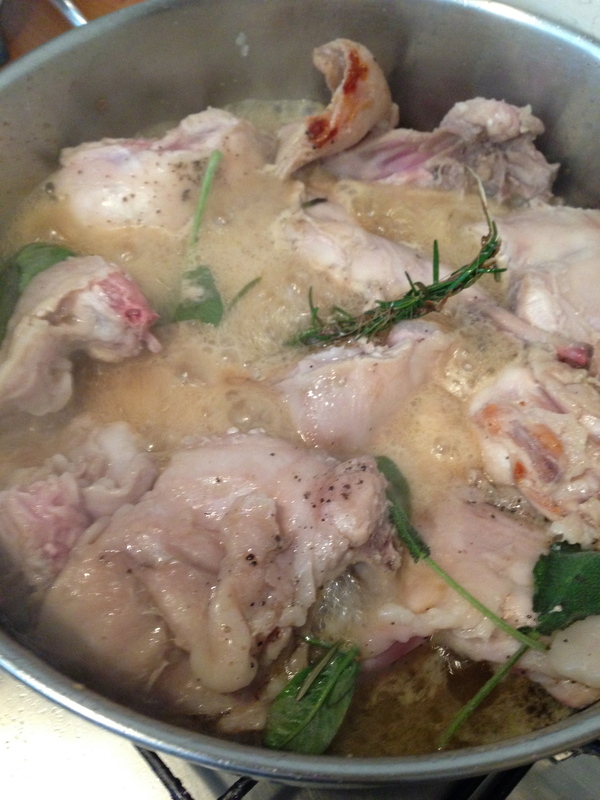 if you aren’t fond of rabbit ( like me) you can also use the same base of the recipe and just add a different meat, like chicken. Make sure you use chicken with the bone in. If you aren’t aware of how Italians cook, let me tell ya. They do NOT measure anything. 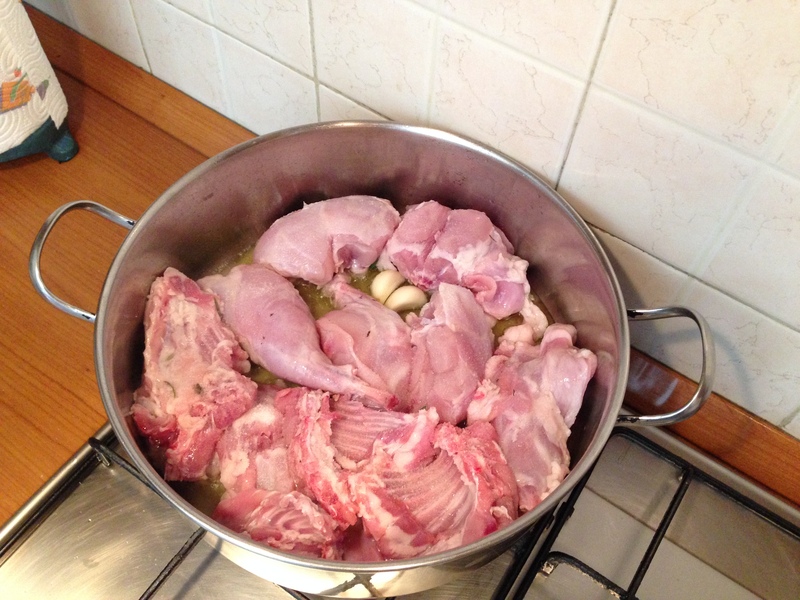 So this will be more of a step by step photo recipe..
My mother in law Silvana buys all of her meat from a local neighborhood farmer who raises the animals which include Chicken, Galina ( which is female chicken) and Rabbit.. Early in the morning he kills the animals and then he will make his rounds early in the morning throughout the neighborhood.. I’ve met him once.. He’s an interesting fellow, in his early 80’s probably. He keeps the meat of the day in the back of his car.. The chickens, female chickens and rabbits come in one piece, so it’s your job or responsibility to “butcher” the animal. 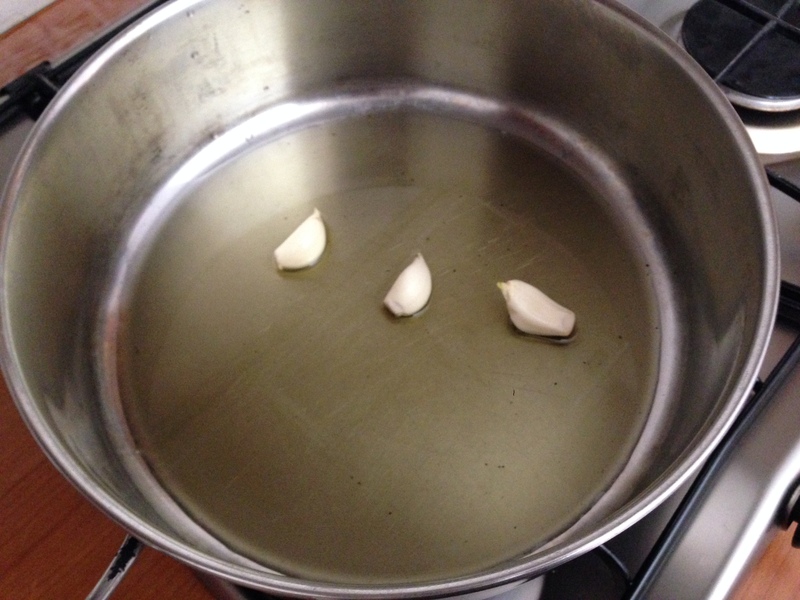 Add some Olive oil in the pan with a few cloves of garlic. 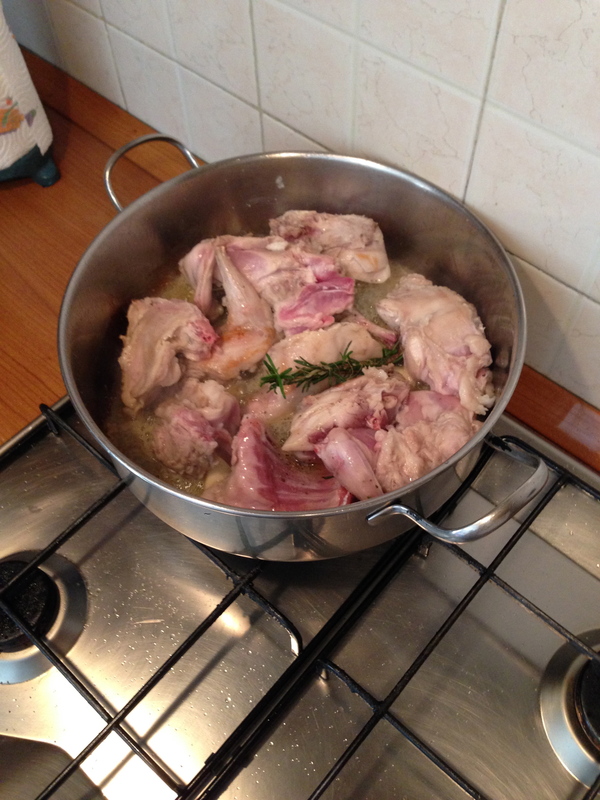 Step 3 : After 3-4 minutes turn Rabbit over to brown on the other side. 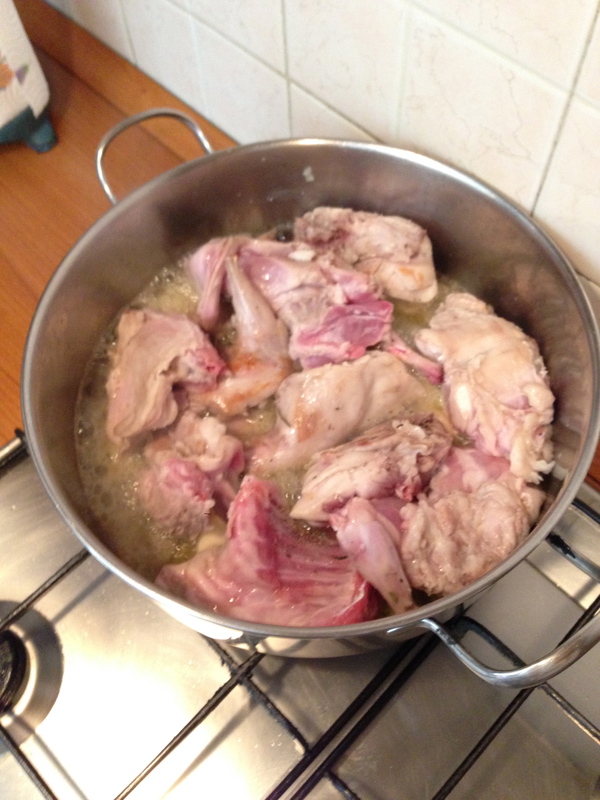 Step 5 : Add 1 cup of white wine ( not red wine because red will change the color of the meat) and also add water. Remember to keep the heat on medium to high. Step 6 : Add fresh herbs.. 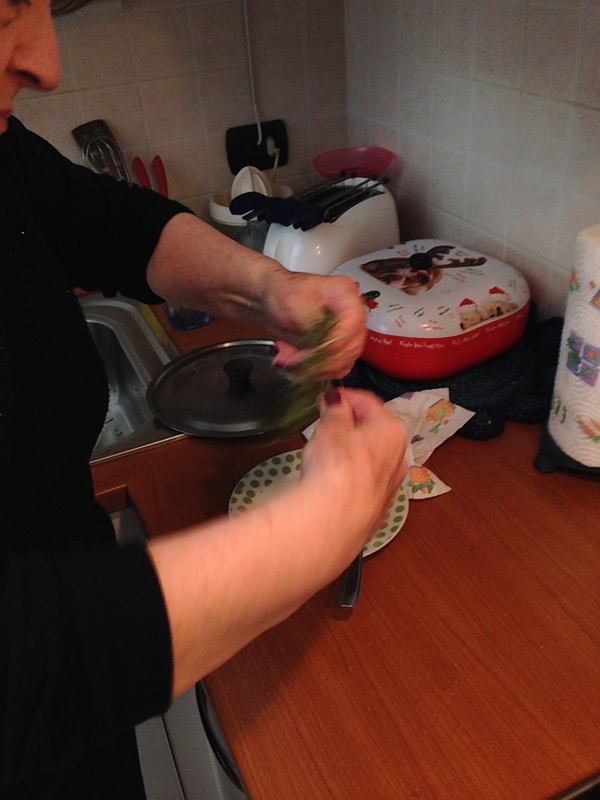 Here, Nonna is wrapping a few twigs of rosemary together with yarn. It’s a great idea when you want the flavor or aroma of the rosemary but not the needles. Depending on how much meat you are making.. 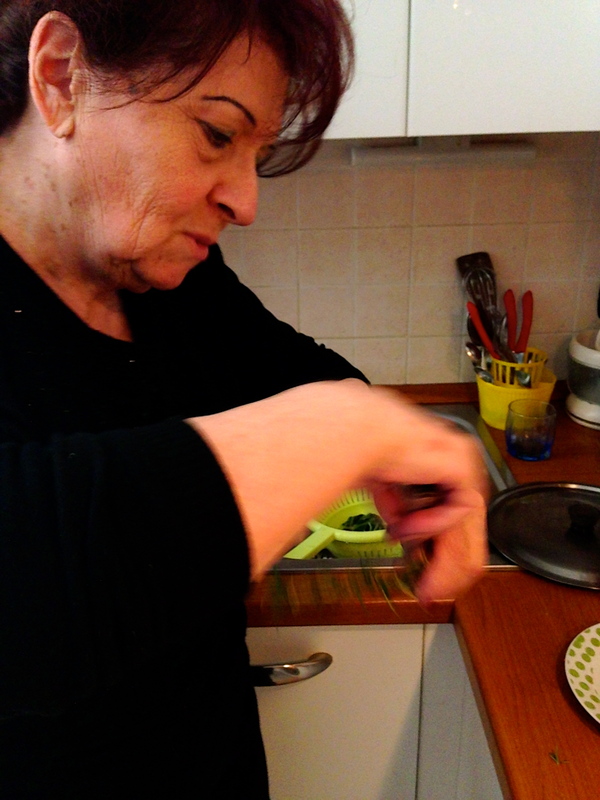 Here, Nonna added 2 twigs of rosemary. Step 7: Add fresh sage! AND add more water if you see that most of it has soaked up. 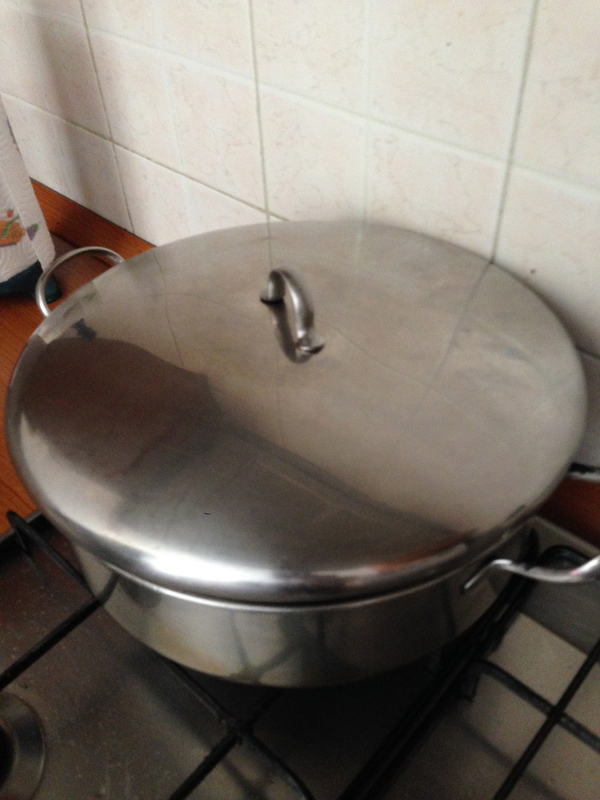 Step 8 : Cover and continue to let boil on Medium heat for 30 to 40 minutes. Check occasionally to make sure there is always water in the pan.. If you would like you can also add more Olive oil. It is really your preference. 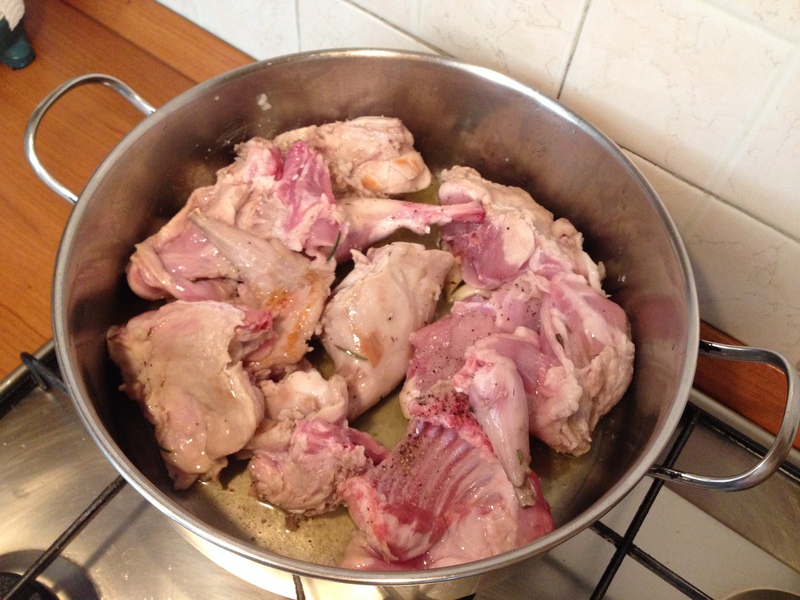 So you see in less than 9 steps you too can make Italian style Rabbit..
You can see also in the above photo that Nonna added a couple roasted bell peppers to the dish.. If you have you can add but if you don’t don’t worry about it.. Very nice! 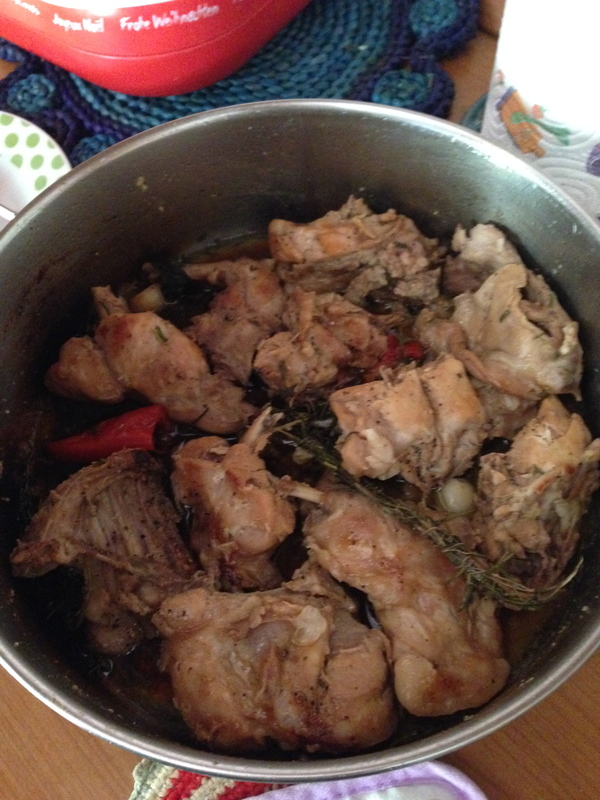 Can’t wait to try it ~ with chicken of course! !